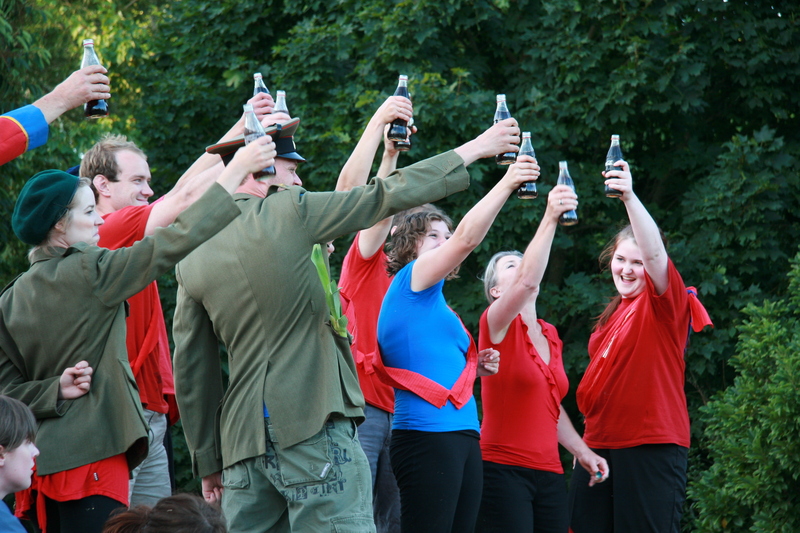 The 2009 Summer Shakespeare production team know about doing the Bard justice outdoors – between them they have been involved in over 15 Summer Shakespeares. Director David Lawrence, fresh from directing the runaway success Jane Eyre at the Fortune Theatre, Dunedin, re-unites with Production Manager Simon Vincent (producer and writer of A Renaissance Man). Producer Jacqueline Coats completes the formidable triumvirate spearheading what is arguably Shakespeare’s most exciting history play. Henry V tells the story of a newly-crowned king waging war on an ‘enemy’ to promote nationalism in his disparate state…ring any bells? 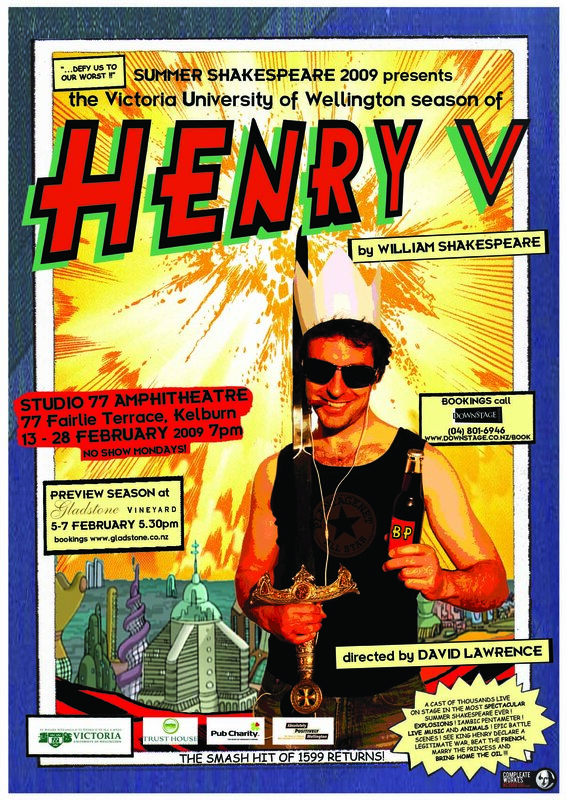 In our times of soaring oil prices and crunching credit, any diversion is welcome and in David Lawrence’s extremely pertinent new production we examine some of the motives behind Henry’s nationalism. 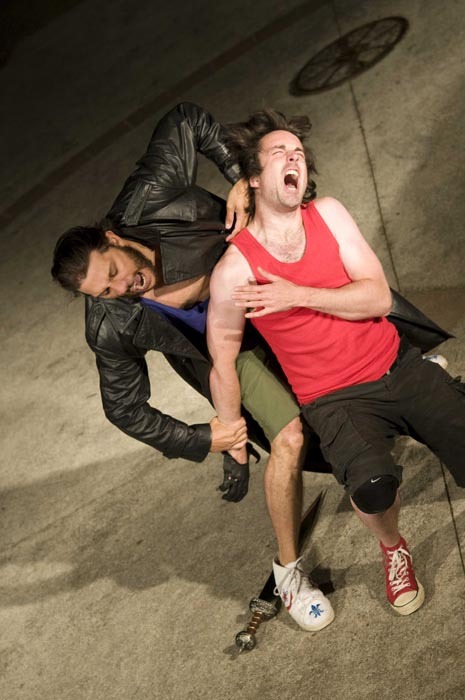 The main challenge facing any director of Henry V is how to convincingly create the battles. The 40-strong cast will serve to give the respective armies bulk, while internationally acclaimed fight choreographer Allan Henry (who also stars as The Constable) will give the armies grace and guts! The role of Henry will be played by Alex Greig, who has performed many of Shakespeare’s more interesting roles, (Edmund, Laertes, Bottom, Romeo) and is looking forward with relish to creating this English Hero. Rehearsals kick-off next week where Alex and Allan are joined by a talented cast of young and old. This show is not to be missed; it will be unlike anything you have ever seen!